$300.00 per day for 1 to 2 people. $75.00 for each additional person (up to 4 people). 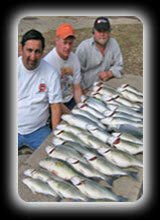 Striper and Paddlefish fishing trips $400.00 per day 1 to 2 people. 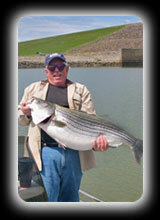 Striper trips limited to 2 people only. *All trips subject to a $25.00 fuel charge. **$50.00 deposit required at time of booking. 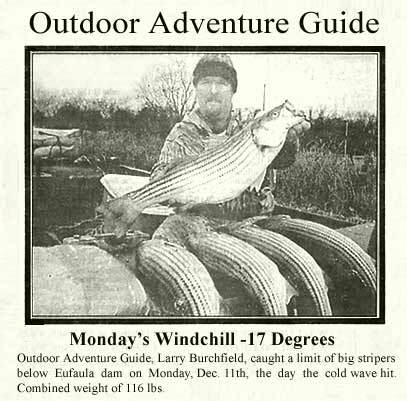 If you would like to book a trip or inquire about any of the services listed on the site please feel free to contact us @ (918)758-9139, email us at skyfish01@aol.com. 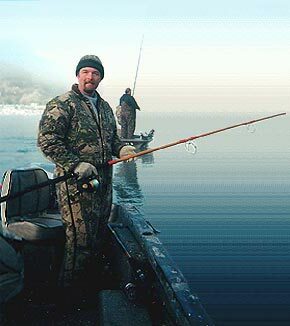 20' Preadator Boat (2-4 people), Licensed Guide, Rods, Reels, Bait and Tackle. Absolutely the easiest way to go fishing! Just sit back and relax! 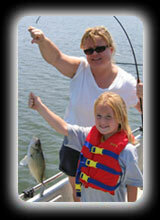 We provide everything you need to have an enjoyable outdoor fishing adventure. 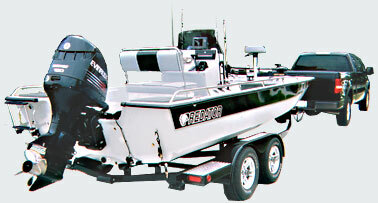 A 20 ft. preadator Boat for your safety and comfort, equipped with the latest electronic depth and fish locating sonar equipment available. All rods, reels, tackle, lures and bait. Trips Include 5 to 6 hours fishing. Morning and Afternoon trips Available. Your 'catch' filleted and bagged for your 'ultimate' fish fry. Note: Please purchase licenses prior to the morning of the trip since local stores are closed in the early morning hours. Ice chest with your choice of food and drinks and for your fillets after the trip. Wet weather and seasonal clothing. Wind chill and spray from waves can be uncomfortable in cool weather! water-resistant camera to record your Outdoor Fishing Adventure!